Product Description: BEE-DO, BEE-DO, BEE-DO! 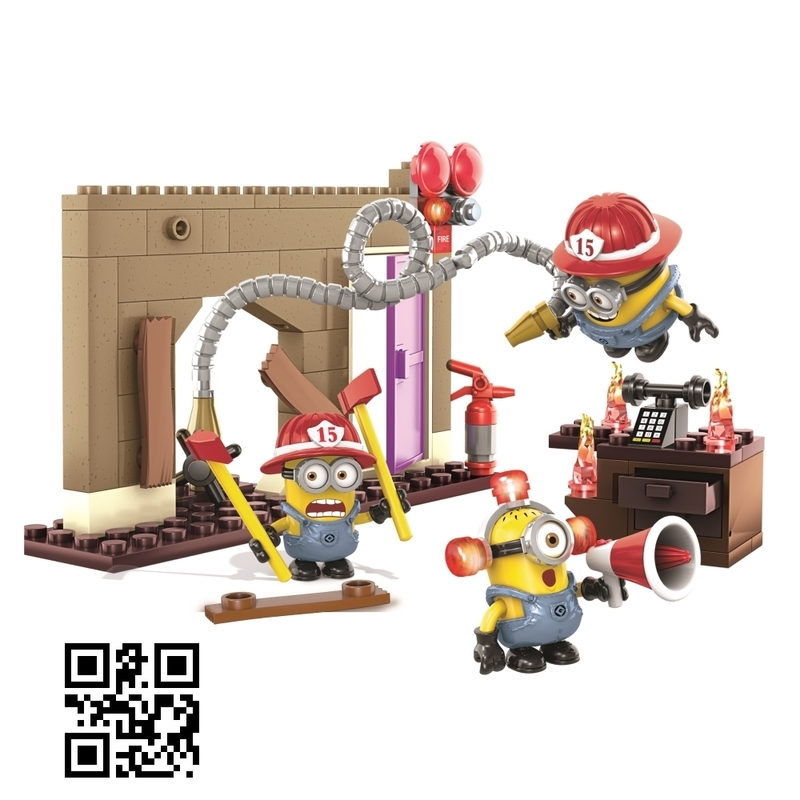 Sound the alarm, there’s a red-hot emergency and you must send in the Fire Rescue by Mega Bloks Despicable Me™. Crash through the wall, roll out the hose and grab the extinguisher to put out the fire in the office. You can build each collectible Minion with interchangeable fire fighting accessories. Switch around their eyes, hair, clothes, even arms and feet! Save the day and put out the fire without causing too much chaos! Features: • Three buildable Minion characters with interchangeable parts, including overalls, goggles, hair, arms and feet • Fire fighting accessories include axes, megaphone, and hats • Fully buildable office environment with moveable water hose, fire extinguisher, alarm, phone and flame pieces • Collect them all and build your own mischief!